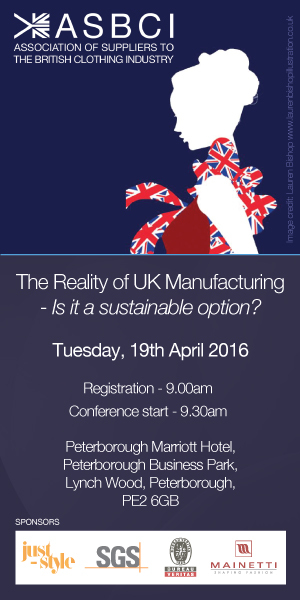 The Reality of UK Manufacturing – Is it a sustainable option? Our sales director, Martin Lowe, is set to speak at the ASBCI conference on the 19th April. The conference, hosted by the Association of Suppliers to the British Clothing Industry, features talks from many influential figures across the textile industry, from manufacture through to retail. UK manufacturing is something that we have always been passionate about, and we are currently striving to make it sustainable again. We are honoured to be able to speak at such an event, and are lucky to be able to share our views to such an audience. To find out more about the conference, and details on how to book, visit the ASBCI website by clicking here.